Earlier this month Adobe released an update to Lightroom Classic CC (v. 7.3). If you haven’t already installed this update I would wait, as many people are experiencing problems. It’s not unusual for a software update to have some issues, but this release has more problems than usual. Most of the issues relate to presets, so if you never use presets you’ll probably be fine. If you use presets I would definitely wait until the next update. If you’ve already updated and are experiencing problems, it’s actually pretty easy to revert to the previous version (7.2) of Lightroom Classic. Many people are reporting that their presets have been reordered and lost their folder structure. In this latest update Adobe changed the file type for presets (from .lrtemplate to .xmp), and moved their location on your hard drive, so that’s what led to these structuring problems. Here’s one forum thread that delves into this issue. Sorry I didn’t warn you about this earlier! I was in Death Valley when Adobe issued this update, with no internet access, so I was only able to delve into this stuff recently. 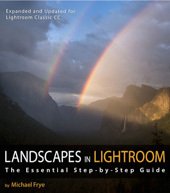 Related Posts: Big Lightroom News; Lightroom eBook Updated! Thanks Michael for your heads up. Unfortunately I had already installed 7.3 and my problem has been Lightroom (Windows 10) will not close properly (crash) and requires a forced shutdown with task manager. I uninstalled and reinstalled with no success. It seemed if I left the Program in the develop module instead of the library it would close properly but I have not thoroughly tested that. I am reverting to 7.2 for now in any case. 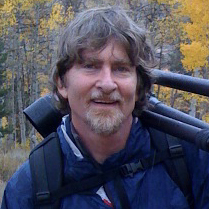 Loved your Death Valley images! Sounds like reverting to 7.2 is a good plan, given all the problem you’re having. Glad you liked the Death Valley images! Michael, slightly different question, if I may ask. Is the accompanying Dogwoods photograph recent? How is the Dogwoods bloom coming along this year? Not recent Arup, and I haven’t been to the valley in weeks, so I’m afraid I don’t know what’s happening with the dogwoods. Some news: Adobe released another update this morning (7.3.1) which is supposed to fix many of the problems people are experiencing. Since I didn’t experience any crashes, or having my presets reordered, I don’t know if these problems were indeed fixed. I can see that some of the issues with incorrect profiles being selected when applying a preset have been fixed, but not all.